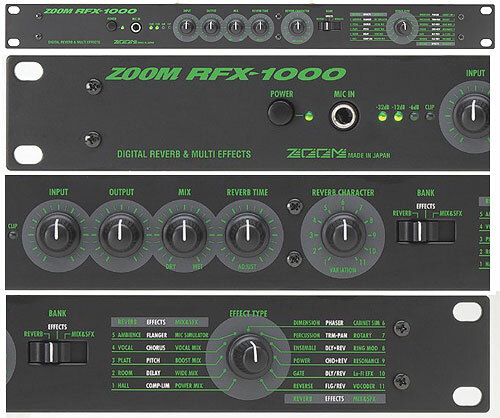 zoom reverb & multi-fx unit. i use the 9120 on my vocal recordings. The zoom 9120 was released in the early nineties and was a multi-fx unit offering reverbs echos flangers and pitch shifting. It has some funky fx for its age but I love the preset no.5 which is a rich reverb vocal plate. It has a warm sound which sits so well in any mix. A great machine for vocal reverb. I own two of these units. It has a sweep flanger that is to die for on guitar. Although it is limited in frequency response by its sample rate of ~30Khz this unit passes the original sound through as analog and mixes in the effected sound so there is no loss of frequency on the original sound. With full MIDI control, a detailed LCD display with backlight, stone cold reliability and sounds that are out of this world this unit is destined to be a vintage classic. I wouldn't sell either of mine for any amount of money - seriously. If you get one used and it does not save presets between power cycles you need to change the button cell battery which is easily accessed by opening the top of the cabinet. The battery only last 3-5 years so if the unit has been sitting for a while you will need to replace it. Also be aware this thing is very large and will need a full depth rack for mounting, or take off the rack mount ears and put feet on the bottom to use it on a table top. These units are a steal used! 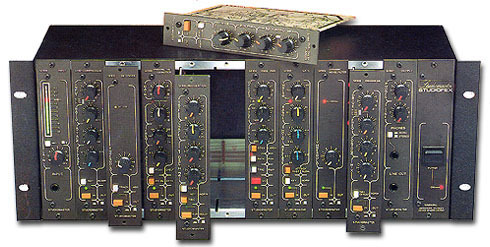 we want to purchase old or new zoom 9120 effect processor, please contact us for this. I want to but zoom 9120 effect processor , so kindly contact us for the same.